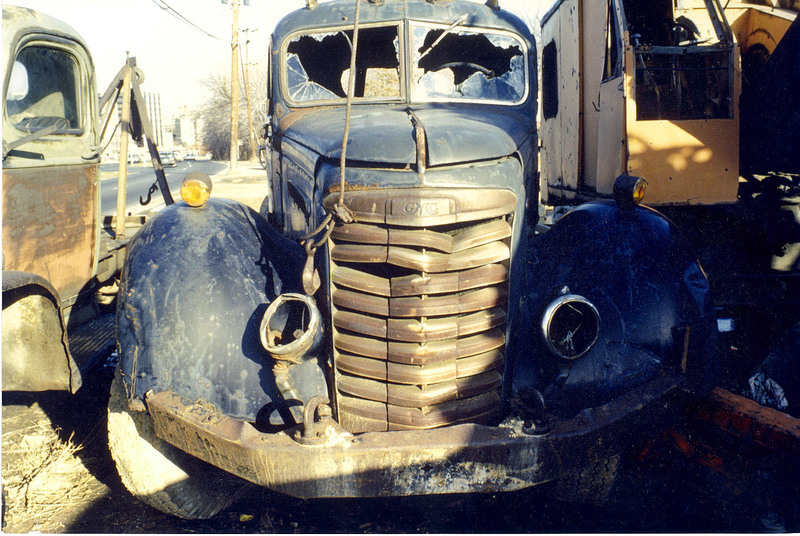 GMC Wrecker -- having seen better days, but still in running condition at Al Ward's Garage/Junkyard, on Columbia Pike going West, just before the overpass at Bailey's Cross-Roads, Arlington VA.
Photo taken in the late 80''s or early 90's. This garage was gone, sometime in the 90's. Hope the GMC and some of her other buddies found good homes -- there's lots of meat on these vehicles -- great for restoring.